This statement relates to our privacy practices in connection with our website www.dinglecottages.com We are not responsible for the content or privacy practises of other websites and any external links to websites are clearly identifiable as such. We are strongly committed to maintaining and respecting your right to privacy. Dingle Marina Cottages will not collect any personal information about you on this website without your clear permission. Any personal information, which you volunteer to us will be treated with the highest standards of security and confidentiality, strictly in accordance with the Data Protection Acts, 1988 & 2003 and GDPR Act of 2018. Dingle Marina Cottages collect various personal and technical information about you on each website. Personal information: When you make a booking, you will be asked for your name, address, telephone number, email address, payment details and any preferences for your stay. We will send you a booking confirmation by email. We will also send you a Pre arrival email and Post stay email to you. We also use your information for marketing activities as permitted by law which means we send our customers regular newsletters by email. You can opt out or unsubscribe from marketing communication at any time. The information collected is kept by Dingle Marina Cottages and the third parties contracted by us to facilitate the booking, such as but not limited to, the software booking engine provider, e-mailing provider, telephone / SMS text message provider. When you submit an enquiry or email enquiry through our website we record them and forward it to the relevant department. The senders email address will remain visible to all staff tasked with dealing with the query. Please be aware that it is the sender’s responsibility to ensure that the content of their emails is within the bounds of the law. Technical information: When you visit our website, we may also collect certain information, like your IP address, or browser, and information about your computer’s operating system, application version, language settings and click stream data which shows the traffic of your visit around this web site (for example pages accessed and documents downloaded). We also collect the previous website address from which you reached us and the domain name used (for example .i.e., .com, .org, .net) If you’re using a mobile device, we might also collect data that identifies your mobile device, device-specific settings and characteristics and latitude/longitude details. If you provide your email address to us we may use this email address to target you with specific offers on Facebook or other social media sites that allow retargeting services. Bookings: We use your personal information to process your online booking. Guest reviews: We may use your contact information to send you a post stay email and invite you to write a review after you have stayed with us. Marketing activities: We also use your information for marketing activities, as permitted by law, you can opt out or unsubscribe from marketing communication at any time. Improving our services: We also use personal information provided for analytical and reporting purposes, to improve our services and enhance the user experience. How do we process Guest Reviews shared with us? After your stay with us you may be invited to submit a Guest Review by email. By completing and submitting a guest review, you are agreeing that it will be shared with all management and can be shared internally to the relevant departments and displayed on our social media accounts to inform other travellers about your experience of the quality and experience of your visit. By completing a Guest Review, you’re agreeing that it can be displayed on our websites, on our social media accounts which will inform other travellers about the quality and services of the hotel. Retaining your information: To meet our legal and regulatory obligations, any information that you provide to us will be kept and stored for such period of time as we deem necessary taking into account the purpose for which it was collected in the first instance, and our obligations under Data Protection Legislation. In general, your personal data will be retained by us for 4 years from the last date of contact or transaction. Dingle Marina Cottages may share your Personal data and information if we believe in good faith that such disclosure is authorised by law or is necessary to protect your personal safety. Such disclosure may include cross-border transfer of Personal Data and information. If legally compelled to disclose your information to a third party, we will use commercially reasonable efforts to notify you in advance of a disclosure unless legally prohibited. Dingle Marina Cottages, take security responsibilities seriously, employing the most appropriate physical and technical measures, including staff training and awareness and we review these according measures regularly. If you do not think that we have processed your personal data in accordance with this Policy, please contact us in the first instance and we will strive to resolve them as soon as practically possible. If you have given your Personal Data and information to us, you have the right to ask us to provide details of the information we posess about you, the purpose and nature of the processing, and information on who we share it with. You can also request to update, correct, or delete it at any time. However, we may need to retain certain information for legal or administrative purposes, such as record keeping or to detect fraudulent activities. You can opt out of marketing contact upon request. You can do any of the above by emailing reservations@dingleskellig.com or please send your requests in writing to ‘Data Protection Committee, Dingle Skellig Hotel, Dingle, Co. Kerry marked clearly ‘Dingle Marina Cottages Data Protection Query’. Dingle Marina Cottages will reply to your request with one calendar month of receiving the request. We strive to retain only data that is accurate, complete and up to date. Please contact us to ensure that the personal information we retain is up to date.  Email reservations@dingleskellig.com or please send your requests in writing to “Data Protection Committee, Dingle Skellig Hotel, Dingle, Co. Kerry, marked clearly ‘Dingle Marina Cottages Data Protection Query’. Third party analytics are used to track and measure usage of this site so that we can continue to produce engaging content. These cookies may track things such as how long you spend on the site or pages you visit which helps us to understand how we can improve the site for you. From time to time we test new features and make subtle changes to the way that the site is delivered. When we are still testing new features, these cookies may be used to ensure that you receive a consistent experience whilst on the site whilst ensuring we understand which optimisations our users appreciate the most. As we sell products it’s important for us to understand statistics about how many of the visitors to our site make a purchase and as such this is the kind of data that these cookies will track. This is important to you as it means that we can accurately make business predictions that allow us to monitor our advertising and product costs to ensure the best possible price. We also use social media buttons and/or plugins on this site that allow you to connect with your social network in various ways. For these to work the following social media sites including; Facebook, Instagram, Twitter will set cookies through our site which may be used to enhance your profile on their site or contribute to the data they hold for various purposes outlined in their respective privacy policies. This website is the property of Dingle Marina Cottages. All rights are reserved. May 2018.